Summer cocktails cannot get any easier (or more delicious) than this simple Elderflower Sangria recipe! Summer is easily one of my favorite seasons to entertain, but also the time of year I don’t want to spend a lot of time in the kitchen prepping things. Luckily for me (and you), this Elderflower Sangria recipe is a delicious summer sipper that comes together in minutes. The hardest part about it? Waiting for the flavors to chill and mingle in the fridge before you can drink it. But believe me, it is worth the wait. 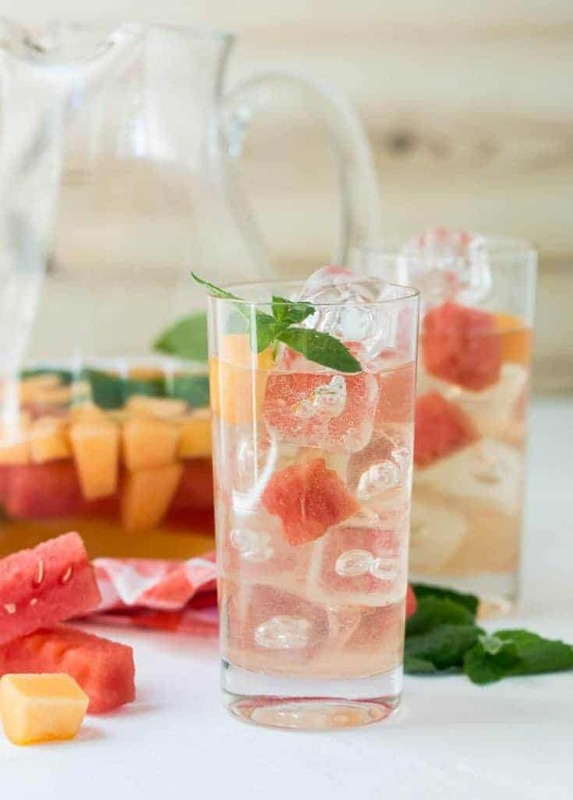 Light and refreshing, this Elderflower Sangria recipe screams summer. 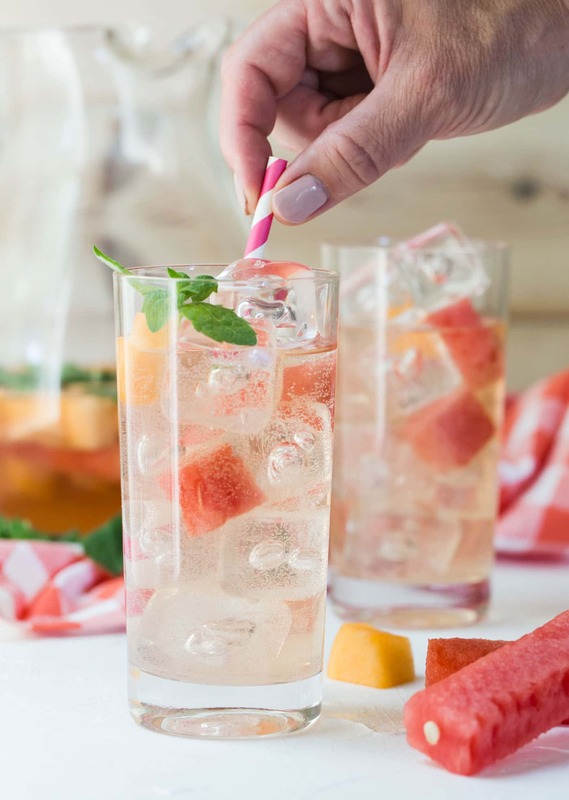 Fresh summer melons, mint from the garden and our favorite elderflower liqueur make the rosé wine shine without being overly sweet. Plus it’s gorgeous. Pull out a pitcher of this and your friends will think you have been slaving away all day. Little do they know, it took 10 minutes before you walked out the door this morning to mix this together. But don’t worry, your secret is safe with me. Pull together a menu from the grill and you can enjoy the whole evening al fresco with friends and not spend a second inside. Start with some Grilled Zucchini Bites, serve Mexican Grilled Corn and Hoisin Ribs for the main course and finish with some Grilled Peaches with Mascarpone. Dinner and drinks are done and no one has to be inside missing the fun. That, my friends, is called winning summer. Place the mint leaves in a large pitcher and muddle to release the oils. Pour the Rosé wine and elderflower liqueur over mint leaves and stir to combine. Place fruit in pitcher and stir gently. Cover and chill for at least 8 hours. Remove mint leaves from pitcher and add club soda. Serve over ice and garnish with mint leaves. Looking for more Sangria recipes? Here are some of our favorites!